Home > Security & Fraud > What is Credit Card Fraud? Credit card fraud is any illegal activity pertaining to theft committed using another person’s credit card as a fraudulent source of funds. Credit card fraud varies from physical theft (stealing a wallet from a victim) to obtaining a credit card in another person’s name (identity theft) in order to steal money directly from a credit card company and pass the blame on to somebody else. The cost of credit card fraud reaches into billions of dollars every year and reports suggest this figure is rising. In 2006, fraud in the United Kingdom alone was estimated at just over £428 million, a serious problem for credit providers! Credit Card fraud begins with either the theft of the physical card or the compromise of data associated with the account, including the card account number or other information that would routinely and necessarily be available to a merchant during a legitimate transaction. The rapid growth of credit card use on the Internet has made database security lapses particularly costly; in some cases, millions of accounts have been compromised. When a card is stolen, it remains usable until the holder notifies the bank that the card is lost; most banks have toll-free telephone numbers with 24-hour support to encourage prompt reporting. 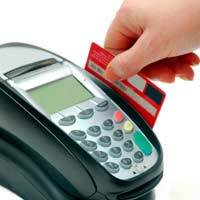 It is still possible for a thief to make unauthorised purchases on that card up until the card is cancelled. In the absence of other security measures, a thief could potentially purchase thousands of pounds of goods and services before the card holder or the bank realise that the card is in the wrong hands! Following a case of illegal activity, credit card companies almost always remove the fraudulent charges from the customer's account, on the condition that the customer signs an affidavit confirming that the charges are indeed fraudulent. Can Credit Card Companies do More to Reduce Fraud? All credit cards have a signature panel on their reverse, but signatures are relatively easy to forge. In some countries the introduction of Chip and Pin has slightly reduced incidence of fraud, although because customers are liable to forget their numbers many shops still allow people to make purchases with signatures, making things easier for criminals. Some cards include a picture of the credit card holder themselves on the plastic, a sensible move but something the credit card industry as a whole has been slow to pick up on. Self-service payment systems (such as train ticket machines) are hard to police, as are cards used for telephone and internet transactions. A common countermeasure is to ask the purchaser to contribute some personal information, such as a post code or security password. Although this may deter casual theft, criminals who have found personal information as well as a credit card may be able to get past these counter checks relatively easily. Credit card companies have also implemented a number of countermeasures at network level, including sophisticated real-time analysis that can estimate the probability of fraud based on a number of factors. For example, a large transaction occurring a great distance from the card holder's home might be flagged as suspicious and reported to a specialized division of the company. The store where this transaction is taking place may be instructed to call the bank for verification, to decline the transaction, or even to hold the card and refuse to return it to the customer. However this is practice is also limited in its effectiveness – customers may, and do travel large distances!